Joining us today for an interview is Andrew Pemberton. He is currently working as a Magento Developer at Interactive Web Solutions Ltd. He has vast experience in the field along with a Magento Developer Certification to his name. Without wasting any time, let’s hear it from Andrew’s conversation with us! Muneeb: Andrew, thank you for joining us. Please share some highlights of your career with our readers. Andrew: 20 years ago when I was around 13 I got into a game called Duke Nukem and started to build 3rd party maps for it. Once I’d built a few I needed somewhere to host and promote them, so I built myself a website and hosted it on GeoCities. I quite enjoyed this process (probably more so than building the maps themselves) so began to play around with more advanced things. By the time I was 15 I’d done plenty of websites for friends, friends of friends, and even complete strangers; it was then that I switched to doing it commercially, all while I was still in full-time education. This continued alongside my college and university years; during which I also worked for some large gaming networks (Gamespy, Wireplay) and I developed and released a moderately successful open source Content Management System (this was before the days of WordPress!). I eventually wound up working at iWeb, where I currently work; started a life there as a bespoke developer building sites from the ground up over and over again and then fast forward another ten years and here I still am; 100% focussed on Magento. Muneeb: Being a Certified Magento Developer, what advice would you give to Magento newbies? 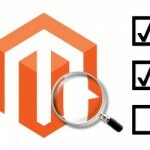 Does this certification provide an edge to Magento Developers? Andrew: I would say simply get stuck in and start building something using the resources out there; Stackoverflow, Magento Community Forums, and the thousands of blog posts are always there if you’re stuck; the chances are someone has already been through the same problem before. In regards to certification, I think it gives agencies bragging rights to clients and certainly sets them aside from non-certified agencies. As a customer, it must be comforting to know that an agency has x number of certified developers on their team. I don’t think that being certified makes you a better developer though. There are many amazing Magento developers out there who are not certified at all. Muneeb: There are many other ecommerce platforms available. What was your reason behind choosing Magento? 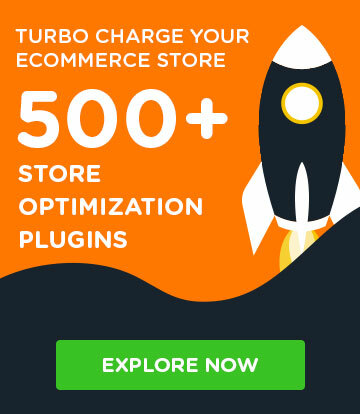 Andrew: Honestly; I didn’t choose Magento…iWeb began getting more and more leads with clients actively asking for Magento, so it just made sense that the company start focussing more and more in this area. So I was thrown in at the deep end and ended up enjoying it. Muneeb: What is the difference between Magento 1 and Magento 2. 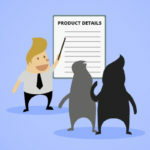 What is the feature that you think Magento is missing? Andrew: Wow, this is a big question. I could spend the whole day answering this one. I treat Magento 2 as a whole new platform since the differences from a development point of view are like night and day. It’s still in its infancy, and I think it sometimes shows when using it; I sit there thinking about how amazing it is, and then seconds later I’ll be in a pit of despair wishing it was the good old M1 days. My biggest grievance with the platform is how difficult it can be for a beginner to get up and running with development for it. With Magento 1 you could get pretty much any PHP hosting, install the software and start developing. The same can be true for Magento 2 (you may need some composer knowledge depending on how you go about installing it) if you want to do anything serious about it. You’ll need access to, and some basic knowledge of the command line which thinking back to my early days is something I wasn’t even aware of. Muneeb: As a Magento Developer, what are the key points that you focus on before starting any project? 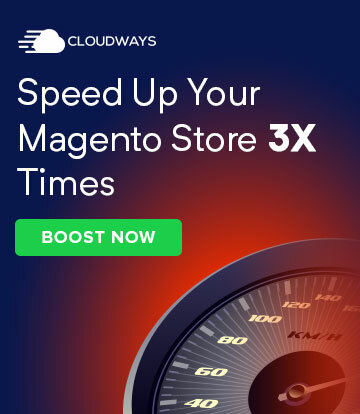 Does this *need* to be a Magento website? Has anyone else done it before? A colleague, a plugin vendor, etc… again, Winner! Have I/anyone else done anything *close* to it before? I’m always happy to adapt either my own or someone else’s code to achieve what is required. If I can’t find anything that suits the above, then it’s time to get down and dirty and do some actual work. Bad times. 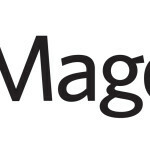 Muneeb: Do you attend Magento Events? What is the special thing you like about these Magento events? Andrew: I’ve done the last three Magento Live UK events and the last two Mage Titans (Manchester). The thing I like most about them is getting to speak to people from other agencies, other developers in the trenches as it were…it’s comforting to know that there are other people out there battling the same things you have battled with – and it’s good to share war stories with people. Andrew: It’s not normally this clean, but here you go! You’ll notice I’m probably the only Magento developer in the world to use Windows. I’m not ashamed. I love it. Muneeb: Could you please share your daily work routine with our readers? And how do you spend your free time? 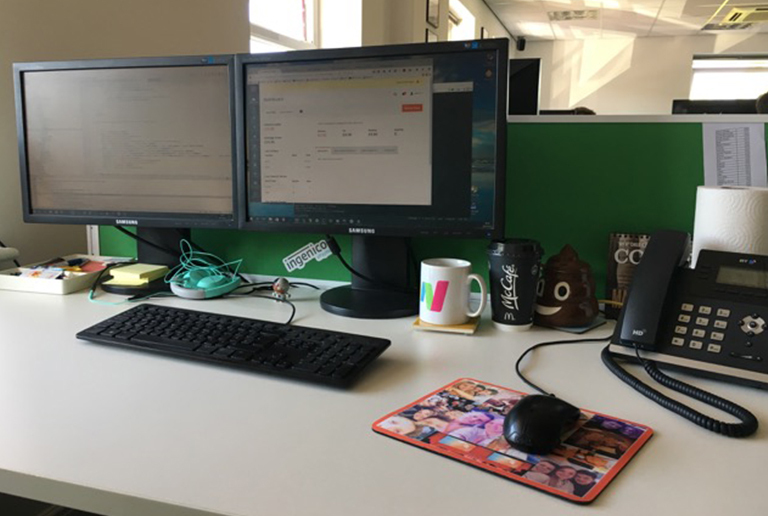 Andrew: I’m usually the first in the office so I spend the first 15 minutes alone reflecting on my life choices and why I decided to become a developer but after that, I get straight into it. 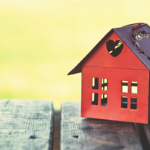 I usually have between 1 – 3 large projects on the go at any time; alongside this, we have another 50 or so active clients who require ongoing maintenance and support. Imagine someone spinning plates; that’s essentially what I do on a daily basis. There’s lots of task-switching, and it’s quite hard to balance support vs. new work – but I love it and love working with all the different customers and helping them achieve success in their stores. Outside of work; I’m a huge pet lover, so I spend what little free time I get either with them or playing on my Xbox. Movies or Games? Games. First Person Shooters. Tea or Coffee? Caramel Latte Macchiato. Not very British I know. PlayStation or Xbox? I’m a huge Microsoft fanboy, so Xbox. Andrew: I’d like to see more interviews with people outside of the big names of the community, agency developers, and plugin developers, etc. I like to hear raw, unbiased views and enjoy it when you get the opinions of people that don’t just beat the Magento drum over and over again.